On 11 November, Adelaide startup Fleet Space Technologies launched two CubeSats from New Zealand, marking the company’s first commercial satellite launch. The launch lays the foundation for free global connectivity for the industrial Internet of Things (IoT). 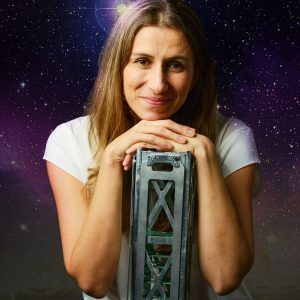 According to Fleet Space Technologies co-founder and CEO Flavia Tata Nardini, the shoebox-sized Proxima I and II CubeSats are the first to be launched by the Australian private sector. And they lifted off only weeks after Tata Nardini reached out across the Tasman to ask Rocket Lab CEO Peter Beck about working together to “untangle the bottleneck of space”. The Australian and New Zealand Space Agencies, along with regulatory authorities on both sides of the pond, worked with the two startups to clear regulatory and licensing hurdles in record time. “The speed was unbelievable,” Tata Nardini told create. And the launch wasn’t the only speedy part of the process. The two Proxima CubeSats were built in six weeks. “Nanosatellites can be built in weeks, with a little bit of improvement each time,” Tata Nardini explained. The bulk of the Proxima manufacture took place in San Francisco with Pumpkin Space Systems. The payload — a radio that controls the satellite’s communications — was built by Fleet Space Technologies in Adelaide. The Proxima CubeSats are the first of a constellation of 100 nanosatellites that Fleet Space Technologies plans to launch into Low Earth Orbit (LEO) by 2022. Fleet will have two more nanosatellites in orbit during the coming weeks, with Centauri I on board SpaceX’s recently delayed Falcon 9 SSO-A mission scheduled to launch from the Vandenberg Air Force Base, California. Centauri II will be hot on its heels, taking flight from an Indian Space Research Organisation (ISRO) PSLV C43 launch vehicle on 27 November. Tata Nardini said Centauri I will be among 71 CubeSats aboard the Falcon 9, and the media has reported that up to 30 small satellites will be on the ISRO rocket. The SpaceX and ISRO vehicles are considerably heftier than Rocket Lab’s Electron rocket — which is designed specifically for small payloads such as nanosatellites. Fleet Space Technologies CEO Flavia Tata Nardini. “These are big rockets — it’s fascinating to see them dedicating some of their launches to CubeSats,” Tata Nardini added. Aussie startup Gilmour Space Technologies is also vying to claim its place in the small launch market, and has recently been named in the New York Times as one of only six companies worldwide with the engineering expertise and funding to give Rocket Lab some healthy competition. According to CEO Adam Gilmour, their hybrid-fuelled rocketsare on track for the first commercial launch from Australian soil by 2020. Fleet’s mission is to “power the next industrial revolution” in sectors such as farming, mining, shipping and logistics. According to Tata Nardini, Fleet’s satellites will “grab the data” from devices in industry. Last year, Tata Nardini explained to the Engineers Australia Applied IoT Community that industrial clients who purchased sensors, gateways or terminals containing the Fleet Space Technologies communications chip would have free access to Fleet’s satellite constellation. Even before their first launch, Fleet started generating revenue by connecting customers using existing satellites operated by companies such as Iridium and Inmarsat. “We’re selling all over the world, proving our IoT approach and how fast we can go with customers,” Tata Nardini said, adding that her company’s CubeSats will provide extra features and redundancy to connect millions of devices. The Proxima and Centauri satellites will be monitored in the months after launch to make sure they are working correctly. 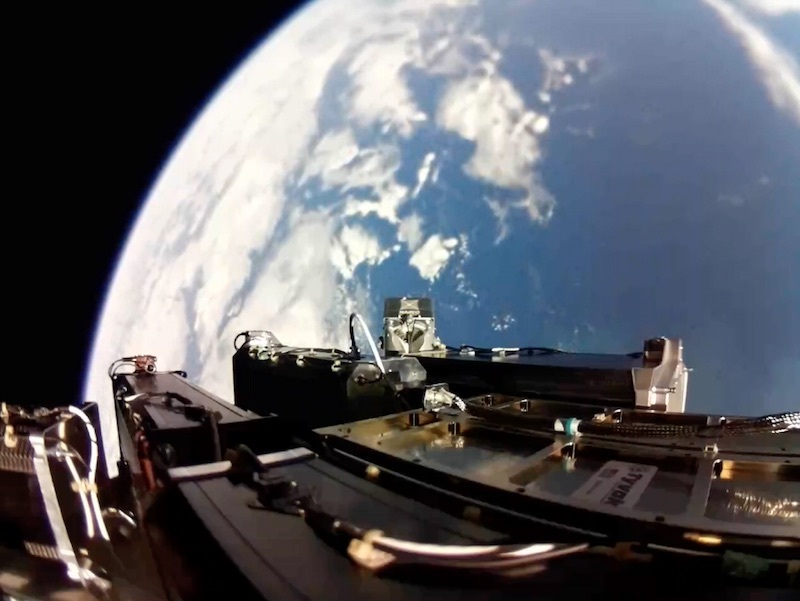 The Proxima CubeSats have been granted permission to operate in sought-after L-band frequencies, which are used for GPS as they can pass through clouds and tree cover. Fleet is tracking the CubeSats twice a day when they pass over Adelaide. The window is tight — 180 seconds for each transit — but Tata Nardini said that their ground station is capable of meeting the challenge. Tata Nardini said that the Fleet team had learned a lot through the process of designing and building their four satellites. “Everything is new at the beginning. The more you do it, the more you own it,” Tata Nardini said. This article was originally published on create digital.